Big Data Analytics helps decision makers to identify the problem areas in various business practices, eliminating the risks and improving business productivity. Big Data Analytics is also based on analyzing succinct patterns for identifying credible and reusable processes to retune business efficiency. You might’ve heard about the power and potential of Big Data and predictive analytics, but you still are a bit hazy on how to start working on Big Data and what it can really do for you and your company? 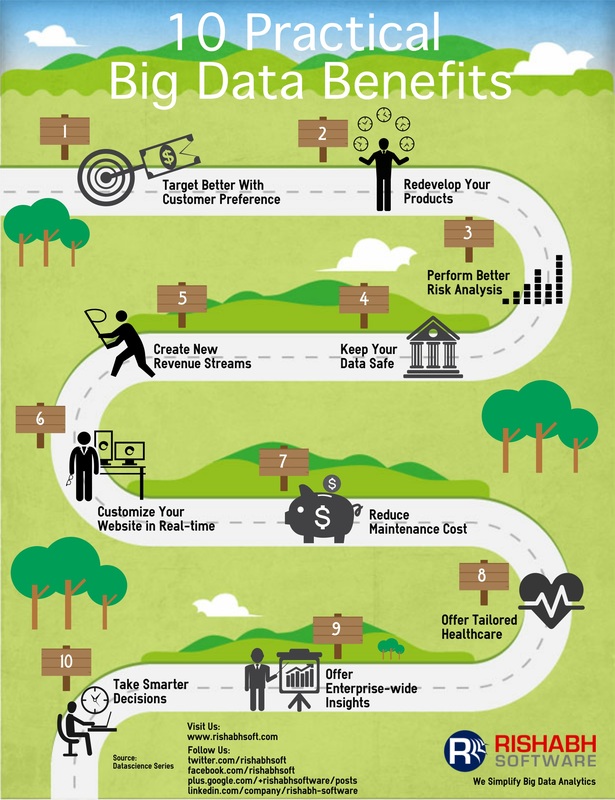 This infographic explains the practical examples of how big data is being used by enterprises and what you can achieve.